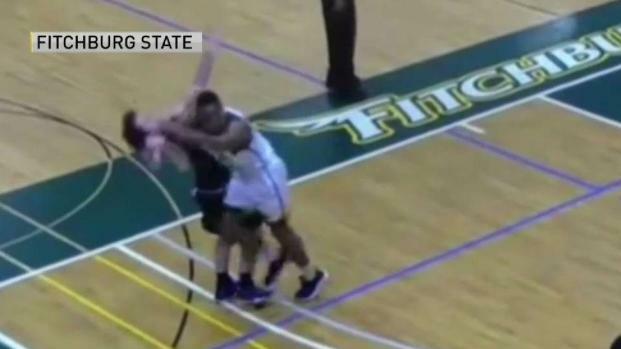 A Fitchburg State University basketball player is banned from campus after throwing an elbow at an opposing player. A Massachusetts university has suspended and barred a member of its men's basketball team from campus after a vicious elbow to the face of an opponent during a game on Tuesday night. Fitchburg State University said in a statement Wednesday that junior guard Kewan Platt has been "indefinitely suspended" from the team and barred from campus effective immediately. According to his bio on the school website, Platt is from Jamaica Plain and is studying criminal justice. The incident took place during a game between Fitchburg and Nichols College, both Division III schools from Massachusetts. 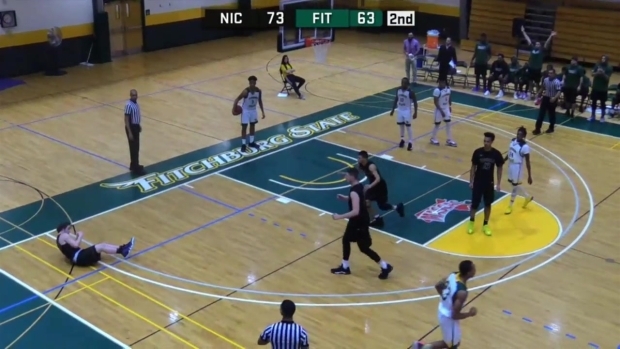 Video of the incident, which has been widely circulated on social media, shows Nichols College guard Nate Tenaglia shooting a three-pointer. As he follows through, Platt is seen jogging toward Tenaglia and delivering an elbow to Tenaglia's head. Tenaglia falls to the ground, clutching his face. 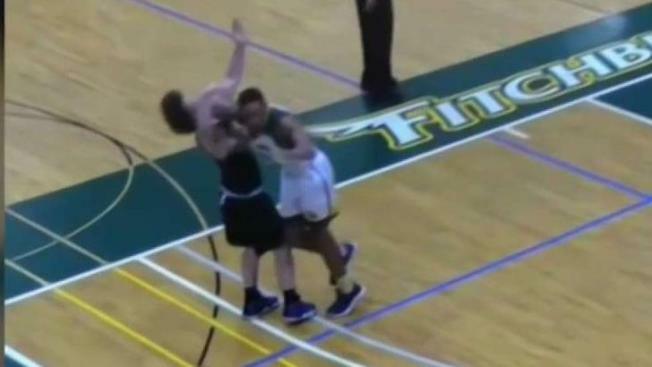 A Fitchburg State University basketball player was banned after throwing an elbow at a Nichols College player. Platt was assessed his second technical of the game and ejected, according to Yahoo Sports. Tenaglia stayed in the game and hit the two free throws. Nichols went on to win the game 84-75. A Massachusetts university has suspended and barred a member of its men's basketball team from campus after a vicious elbow to the face of an opponent during a game. Fitchburg State said the case is being reviewed at the student conduct level for consideration of further sanctions. "The Fitchburg State community is appalled by the conduct displayed during Tuesday night's home basketball game," the school said in its statement. "His behavior is antithetical to our community values and good sportsmanship. Fitchburg State does not tolerate behavior that violates those standards." The Massachusetts State College Athletic Conference said it has also vacated Platt's player of the week award. "His behavior goes against the MASCAC's mission, which includes good sportsmanship," Commissioner Angela Baumann said in a statement. "On behalf of the MASCAC and Fitchburg State, we apologize to the Nichols College student-athlete, the team and institution. Nichols College Athletic Director Chris Colvin said in a statement that he was "troubled by the unfortunate incident" but relieved that Tenaglia was able to finish the game. "We are proud of the way our student-athletes handled the incident and that they did not allow it to escalate," he said. "We are aware that the Fitchburg State administration is handling the matter."